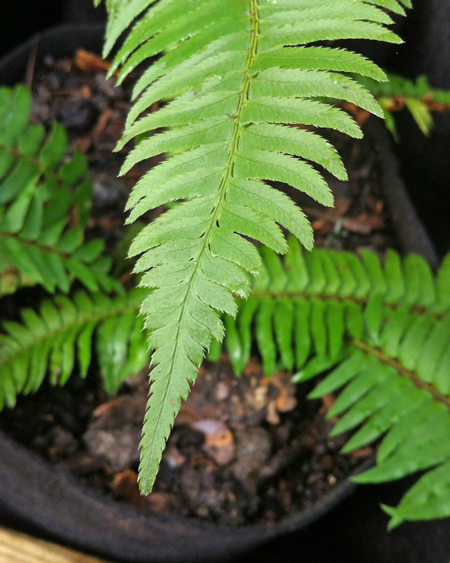 The most familiar fern of the redwood and west-side forests, Sword Fern has leathery, shiny dark green fronds, made up of symmetrical, spiny-margined pinnae (leaflets). Long lasting when cut, it will grow to 3ft, rarely 5ft, by 4ft. Give this the fertile, humus-rich soil, in partial or deep shade, it grows naturally. 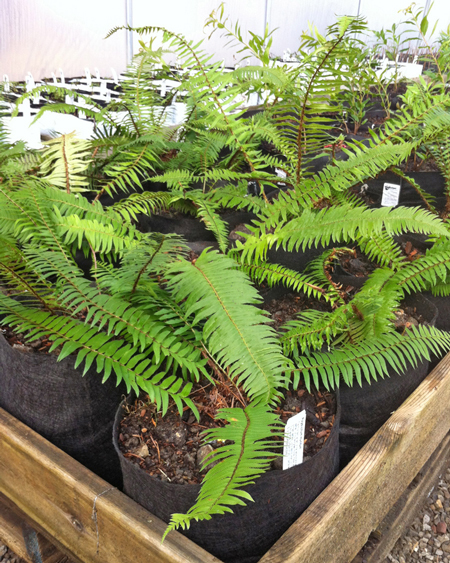 Sword Fern will do well in more sun than many ferns, but looks better in at least partial shade. It is a natural to grow with many native ground covers, and is unsurpassed with rhododendron and azalea. A massed planting is spectacular.